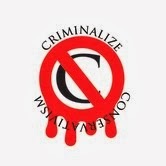 Criminalize Conservatism: Crossballs: Is Racial Profiling The Only Way To Stop Criminals? 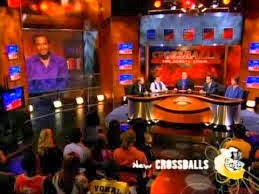 Crossballs: Is Racial Profiling The Only Way To Stop Criminals? 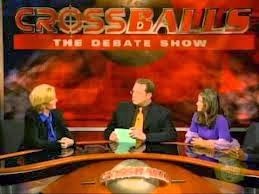 A little over a month ago, we published three episodes from "Crossballs - The Debate Show," our motivation "...to instruct and entertain - without a bit of instruction." For no compelling reason whatsoever, today's post is from Episode 18, "Crime And Funishment," with the opening statement being, "Crossballs: Is Racial Profiling The Only Way To Stop Criminals?" "People who are interested in watching basketball or playing basketball, we have found, are predisposed to criminal activity." "It debuted on July 6, 2004 and ran for eight weeks. 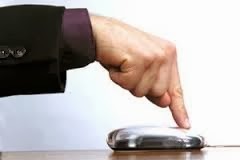 It aired Tuesday-Friday at 7:30 p.m. ET. The twenty-third and final episode aired on August 24, 2004. Show number 24 ('Pistol Whipped America') was taped but never aired, after one of the unsuspecting guests, James March, threatened to sue Comedy Central. "And from Reason.com, Jacob Sullum asked the question, 'Crossballs Puzzle: Why don't the guests on Comedy Central's fake debate show get the joke?'" The "joke" on Crossballs is Conservatism, and while satire is entertaining and instructive, few believe that it really changes the minds of anyone in the polity. But throughout the satire we discover the question between the lines, Why Don't Conservatives Get...Anything?